Tag Archive | "Plastic Aquariums"
Plastic aquariums are normally available in only small sizes. Usually from less than ½ gallon to less than 10 gallons. 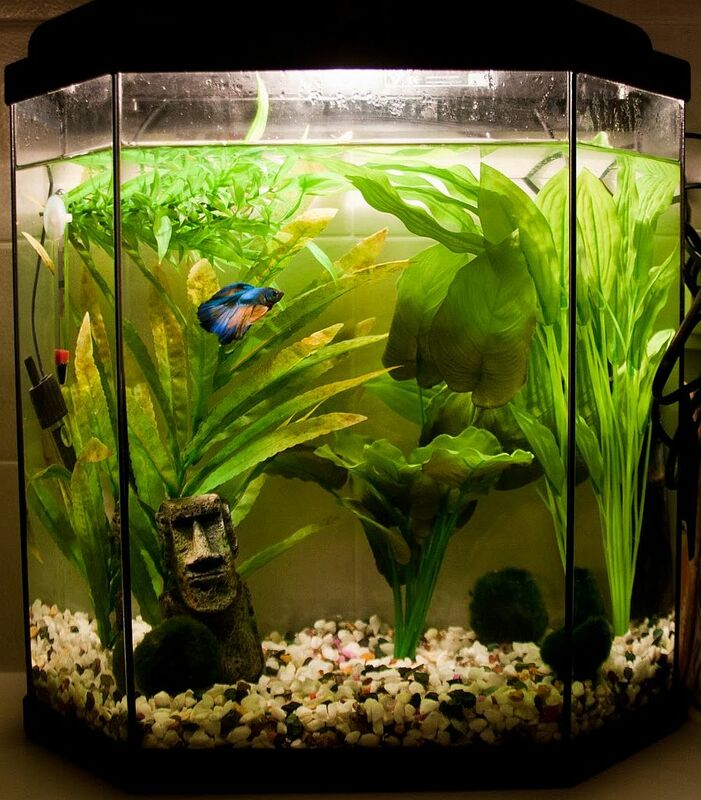 Most plastic tanks are sold in small kits to keep Goldfish or Bettas. Not many are worth purchasing but a few of them suffice for their intended purpose. Normally the kits contain an undergravel filter, gravel, hood, light bulb and a sometimes a smalll bottle of chlorine remover or water conditioner. Plastic tank kits are manufactured in a variety of shapes such as hexagon, octogan, bowl shaped, square, or rectangular. Plastic tanks are cheaply made and will usually crack and break very quickly if you’re not careful handling them. Care should be taken when moving these small tanks and since they scratch very easily, when cleaning algae from the inside. The other problem with small plastic tanks is overheating. Because they only hold a small quantity of water, the light bulb that is normally supplied with the hood in the kit creates too much heat. That combined with the fish waste buildup usually creates havoc with the entire system and kills the fish. If you perform a daily check on the water quality, feed your fish sparingly, limit the amount of light to the tank and make frequent water changes, small plastic tank setups can be successfully maintained. A plastic tank “setup” for a single Betta that you want to keep at your desk at work is fine, but for anything more than that, save your money! What usually occurs in small plastic tanks is too much feeding and too much light. Both create poor water quality and algae problems which will inevitibly kill the fish in the tank. Cheap construction. Easily scratch and break.